The attorneys at the Alaska Personal Injury Law Group have represented individuals in all types of insurance disputes. This includes litigation over the existence and extent of insurance coverage, as well as litigation over the amount of the insured loss. These insurance disputes have arisen out of automobile and plane crashes; damage to buildings, equipment and other property; and denial of disability benefits. Insurance coverage questions typically require careful review of multiple policies and investigation of the history of the forms, endorsements and amendments that the insurance company contends are part of the policy. We have seen situations where insurance companies have claimed that certain forms were part of a policy, when in fact the particular form was only part of an earlier or later policy. We have also seen an insurance company swear by affidavit that the insured signed an important form before a key date when our investigation showed that was impossible because the insurance company had not even created that particular form until after the key date. In addition to carefully determining what exactly constitutes the policy, an attorney needs to know what Alaska law requires insurers to include in their policies, and conversely, what provisions are prohibited by Alaska law. For example, certain automobile insurers kept provisions in their policies for years after the legislature changed the law to make such provisions illegal. Another important reason you need an attorney familiar with insurance law is to make sure every insurance policy that provides coverage for the loss is identified. For example, uninsured or underinsured motorist coverage could be provided by multiple policies that insure different vehicles in the same household. Similarly, a passenger in a vehicle could be covered by the vehicle's insurer and his own insurer. 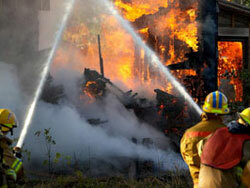 In other situations, a business policy or an umbrella policy may provide additional coverage. Often this additional coverage may be available even if the injured individual is not expressly named as an insured under the policy. We have repeatedly seen situations where insurers failed to disclose all coverages to their insureds. 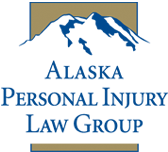 The attorneys at the Alaska Personal Injury Law Group have spent several decades investigating insurance issues, resolving coverage disputes, and proving the amount of insured losses. Contact us. We are familiar with insurance law and can help you obtain the benefits to which you are entitled to under your policy and Alaska law.